There is so much to do and see in Siem Reap, but you need a nice place to unwind after getting “templed out.” Luckily, Golden Mango Inn is just that, and more. 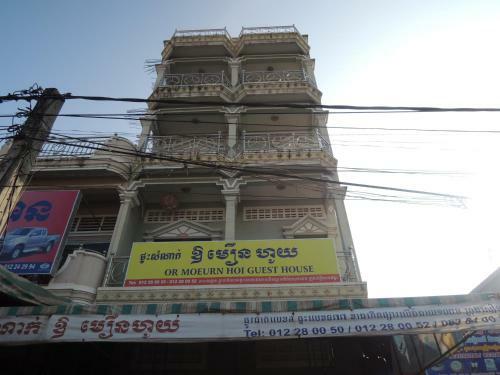 It’s almost shockingly inexpensive; the service is excellent; and the location is ideal for experiencing Siem Reap outside of its tourist bubble. 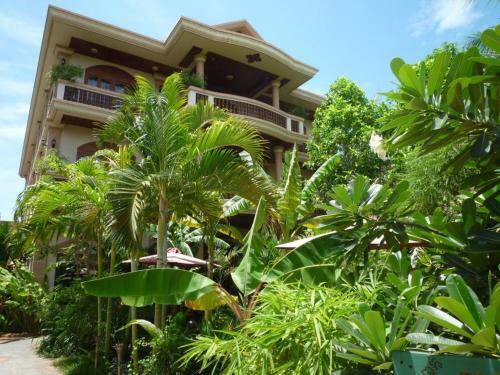 Golden Mango Inn is a jungle-flanked, stunning, relaxing, somewhat off-the-beaten-track boutique hotel that offers incredible bang for your buck. After a sweaty morning adventure through the Angkor Wat temples, it doesn’t get any better than the Golden Mango Inn’s simple yet classy comfort. 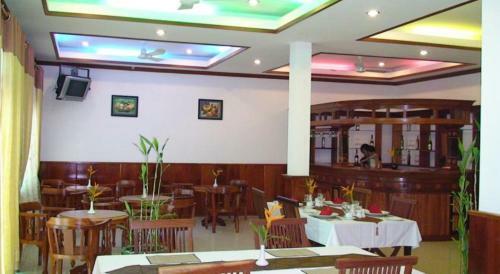 Need anything at all during your trip to Siem Reap? Chances are, the Golden Mango Inn is five steps ahead of you, ready to take care of all of your needs. From sending a tuk tuk to the airport to welcome you in style, to calling ahead to any local attractions (try horseback riding at TKTK and miniature golf at Angkor Putt), to providing endless maps, instructions, and advice, you’re in good hands at the Golden Mango. It’s also worth mentioning that you can get in-room or poolside massages for only 5 USD. I speak with experience when I tell you there’s nothing quite like a poolside foot massage with a tropical cocktail in-hand. Siem Reap has a really fun backpacker’s area. There are great bars, clubs, restaurants, and shops, and lively streets to explore in every direction. That being said, it doesn’t feel much like the rest of Siem Reap. Its walking streets, tourist crowds, cobblestones, and colorful lights paint a vastly different image from what you’ll see elsewhere in town. The Golden Mango Inn, however, is a short tuk tuk ride from this area–and a beautiful, fascinating tuk tuk ride, at that. Over the Siem Reap River and through a busy market intersection and down a wide, crazy dirt road, to the Golden Mango Inn you’ll go. 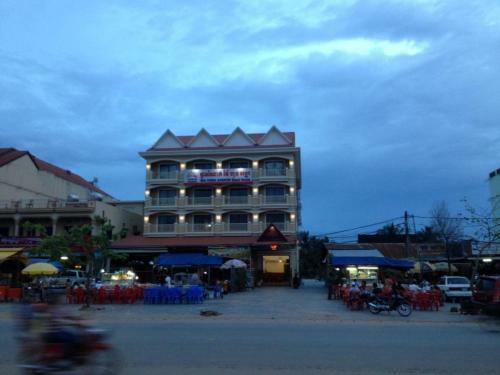 Some people prefer to be right in the center of things, but others will appreciate the Golden Mango Inn’s location that approaches Siem Reap’s outskirts. Staying in that area, and exploring by tuk tuk or foot, by day or by night, allows you to see the bustling local life outside of the temples and the tourist bars. A short tuk tuk drive from the stunning Angkor Wat temple complex lies another gem: the Golden Mango Inn. Without dishing out major dollars, you can sip cocktails on your poolside patio, enjoy friendly service, and chill out after temple tours. The Golden Mango Inn is ideal for travelers on a budget who don’t mind some extra creature comforts.